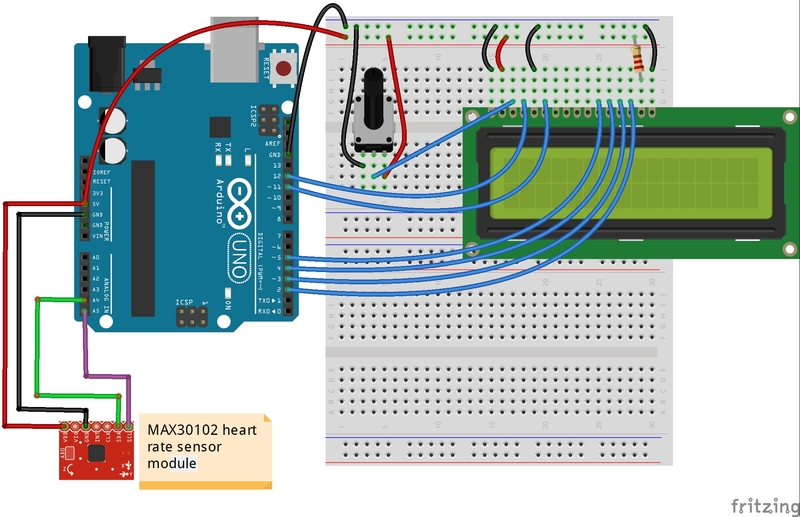 This is a simple heart rate monitor made with a MAX30102 sensor module. I wrote a simple code based on Arduino libraries and values are shown on a 16x2 LCD screen. The first row displays averge beats per minute, and the second row shows the value of the reflected infrared beam. This value should be constant to make readings more accurate. a Penpheral Beat Amplitude (PBA) algorithm. finger to flow differently which causes the sensor readings to go wonky. but it will also run at 3.3V.